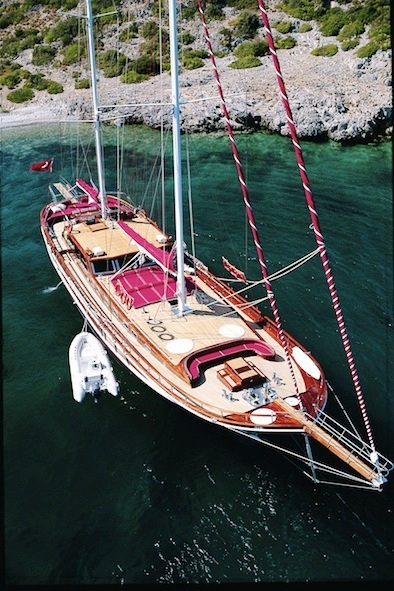 Sailing Yacht COBRA QUEEN is 30.5 metre Gulet built in Turkey in 2003. 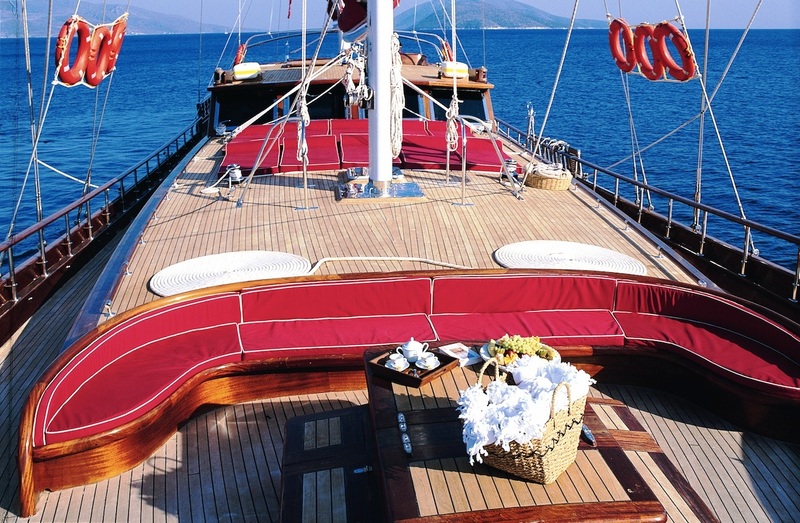 The Traditional Bodrum Gulet COBRA QUEEN is able to accommodate up to 11 guests in 5 cabins and charters throughout the beautiful waters of Turkey. Gulet COBRA QUEEN is a luxury motor sailor, featuring a traditionally styled hull, spacious living areas both above and below decks and a charming interior decor complimented by laminated Mahogany. M/S COBRA QUEEN has a strong ketch rig and is a graceful sailing yacht, able to reach 12 knots under sail. 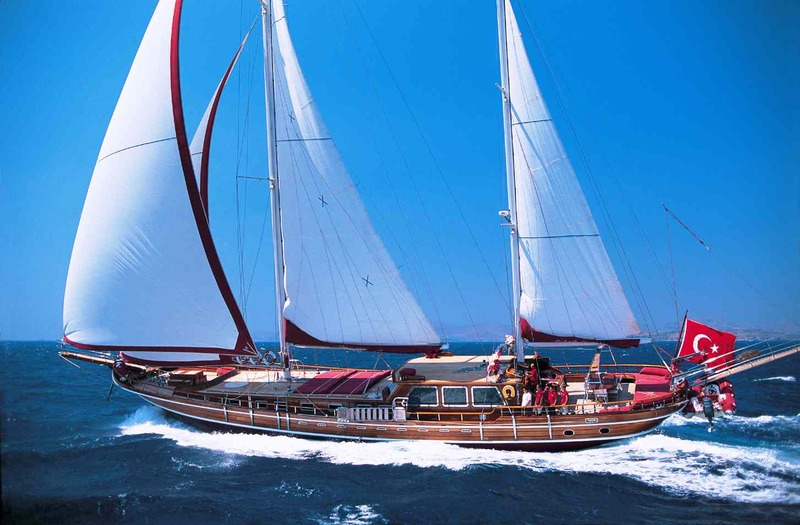 She also has twin 440 MAN engines enabling her to cruise along the unforgettable Turkish Coast. The COBRA QUEEN Gulet has a spacious salon with an L Shaped lounge suite located on the port side and a U shaped dining area settee to Starboard. The salon is equipped with an entertainment corner featuring a Plasma TV, DVD Player and Hi-Fi stereo. 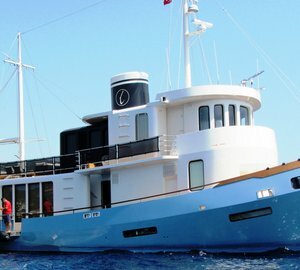 The Turkish based Gulet COBRA QUEEN can accommodate up to 11 guests in 5 beautiful cabins including a master cabin with a double bed, shower and head. Another 3 cabins have a double bed, shower and head and the final cabin has twin beds, shower and head. 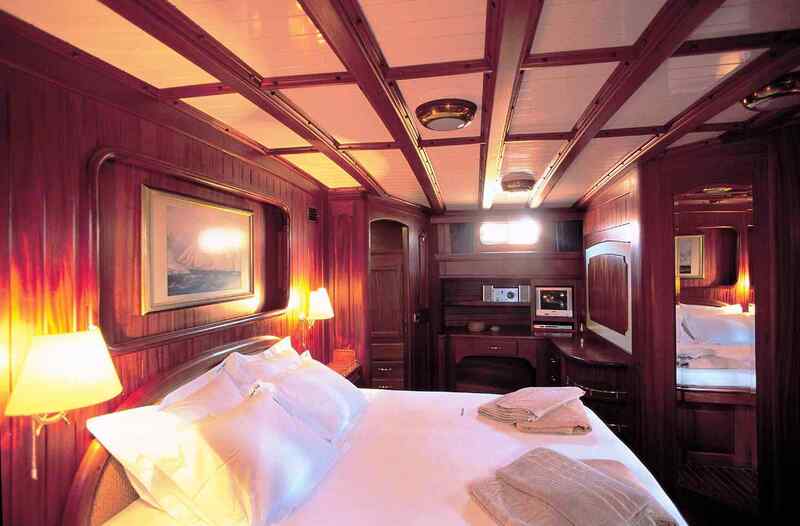 Motor Sailor COBRA QUEEN is fully air conditioned throughout. The crew are accommodated separately. 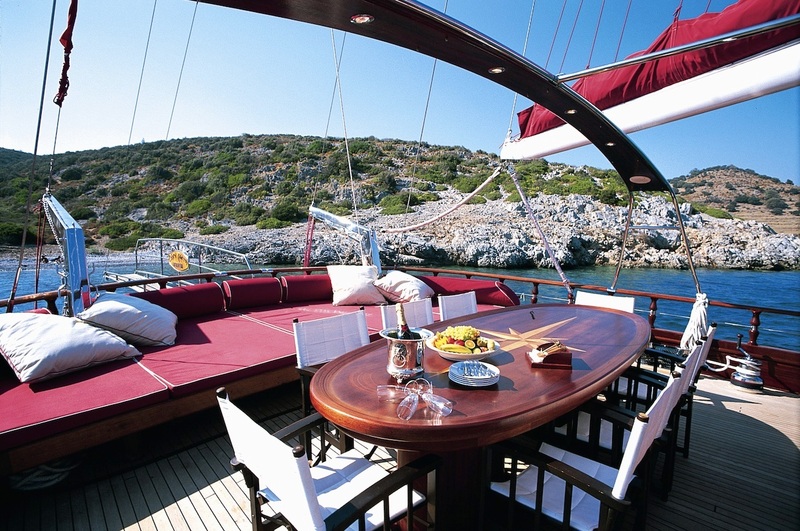 Sailing yacht COBRA QUEEN has a large aft deck traditional deck sofa lining the aft that are great for sunbathing on. 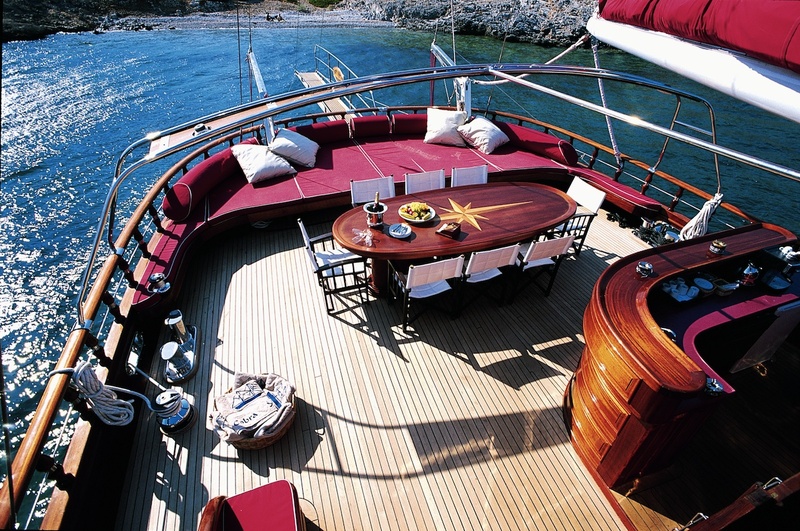 There is a large dining table and bar combined perfect to dine during the warm evenings in the Aegean Sea. There is also sunbathing space on the upper deck which is clutter free. The foredeck on Gulet COBRA QUEEN is also very spacious with more sun pads and a semi circular couch perfect for and early breakfast or cocktails at sunset. The Traditional sailing yacht COBRA QUEEN has a crew of 6 and offers an unforgettable cruising experience along the Aegean and Mediterranean coasts of Turkey. 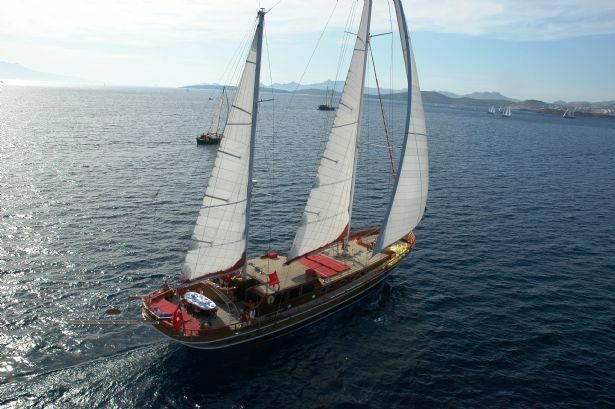 The Gulet COBRA QUEEN is based in Turkey and can accommodate up to 11 guests in 5 cabins including a master cabin and four large cabins; three of which have a French bed and a single bed and one suite cabin. All cabins have ensuite facilities. Motor sailor COBRA QUEEN has a salon equipped with a TV, DVD Player and Hi-Fi stereo, Radar, Freezer, Dishwasher, Washing machine, Ice maker, VHF radio, Showers in every cabin, Sun mattresses, Waterskis, Dingy, Canoe.